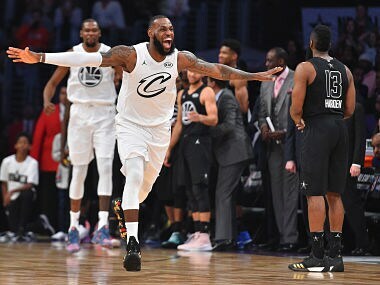 Los Angeles: LeBron James finished with 29 points, 10 rebounds and eight assists to capture his third career NBA All-Star Game MVP as Team LeBron stormed from behind to beat Team Stephen 148-145. 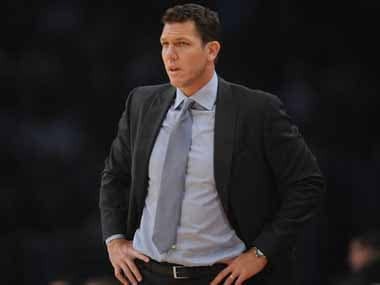 "I need to continue to show myself because every time I step on the floor I have to lead my guys or prove to myself that I am still able to play at a high level. I feel great," said LeBron, who is the All-Star Game's all-time leading scorer with 343 points in 14 appearances. LeBron's three MVPs ties him with Michael Jordan, Oscar Robertson and Shaquille O'Neal. Kobe Bryant and Bob Pettit each won the award four times. 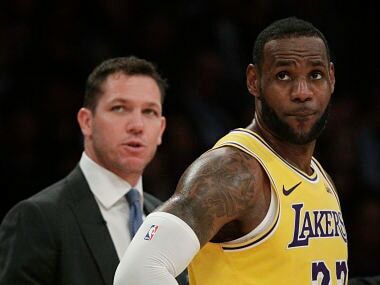 LeBron acted as the player-captain this year under a new selection format designed to eliminate the all-star game blowouts of the past few years. It paid off mightily as Sunday's contest was highlighted by high-flying slam dunks, clutch defensive stops down the stretch and even a video review that went against James but it did not stop their offensive juggernaut from claiming victory. "It definitely worked out," James said. "It worked out for not only the players but the league and the fans, everybody." Under the new format, the top vote-getters in each conference (LeBron and Stephen Curry) were named captains and they got to pick their teams from the list of available players. The first four picks had to come from the list of starters. LeBron revealed on Sunday who his top four draft picks were. 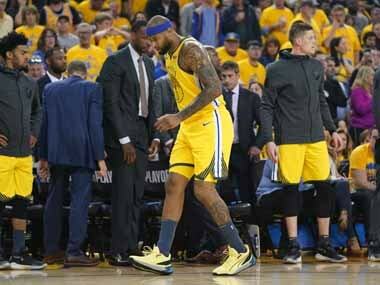 "I took Kevin (Durant) first, then I took Anthony Davis and I followed with Kyrie (Irving) and DeMarcus (Cousins)," he said. 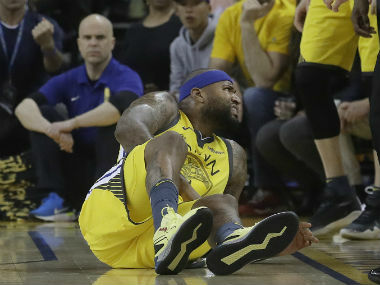 Cousins was unable to play due to an Achilles tendon injury and was replaced by Paul George. With 14 all-star starts, Cleveland Cavaliers superstar LeBron is now just one behind Kobe Bryant for the most starts overall. The four-time league MVP also becomes the fifth player to appear in 14 all-star games, joining Kareem Abdul-Jabbar (18), Bryant (15), Tim Duncan (15) and Kevin Garnett (14). "Championships is what I play for," LeBron said on Sunday. "If you are able to have accolades along the journey then that is cool and this is one of them. "That's what this league is all about and hopefully at the end of the road I have the Cavs there to be in the finals representing the East."